Brad Binder took his Red Bull KTM Ajo to sixth in the Moto2 race, to consolidate his third place in this year’s title chase. South Africa’s three world championship motorcycle contenders conducted themselves well in last weekend’s Malaysian MotoGP. 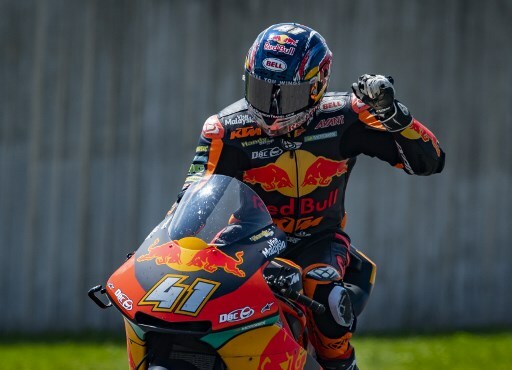 Brad Binder took his Red Bull KTM Ajo to sixth in the Moto2 race, to consolidate his third place in this year’s title chase. Steven Odendaal took 21st on his NTS RW. Italian Francesco Bagnaia scored a third and took the 2018 Moto2 world title, having racked up eight wins, 12 podiums and six pole positions on his Sky Racing VR46 over the season. In Moto3, Darryn Binder scored a seventh place on his Red Bull KTM Ajo. Spanish rider Jorge Martin won the race to clinch the world title with seven wins, nine podiums and 11 pole positions to his credit during the season.